It was an eventful evening at the Kyalami International Convention Centre yesterday as Huawei introduced the new P30 range to the local market. One thing was made clear, these devices, especially the top of the crop P30 Pro, is heavily focussed on photography as Huawei’s collaboration with Leica goes from strength to strength. As the race for the most amounts of cameras crammed into a smartphone continues, Huawei brings their number to five. At the rear you’ll find four, including a 40 MP camera (Wide Angle Lens, f/1.6 with OIS), 20 MP camera (Ultra Wide Angle Lens, f/2.2), an 8 MP (Telephoto, f/3.4 with OIS) camera, and a Time-of-Flight camera. All this means you can go from ultra wide, through to 5x optical zoom, all the way to 50x via its digital zoom. The Huawei Time-of-Flight (TOF) Camera is an interesting one, shooting out infrared light which measures the difference in speed on return. This can help with depth mapping and will be useful as augmented reality progresses. At the front the P30 Pro carries a 32 MP selfie camera with a 2.0 aperture. As always there will be beauty and portrait modes available, while Huawei notes that your face will be correctly exposed even with a backlight present. 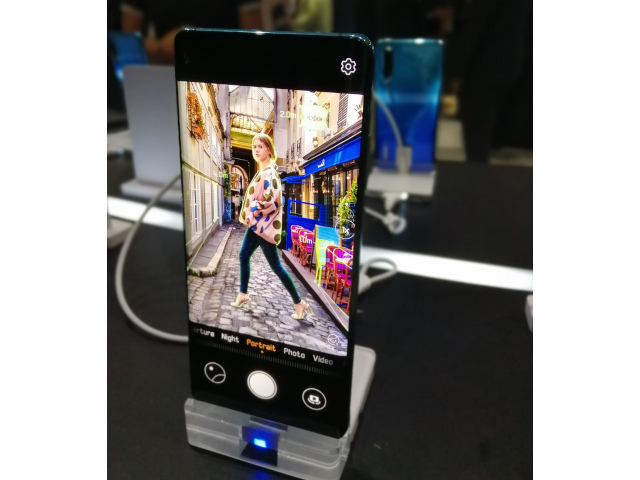 In an interview with Akhram Mohamed, Huawei Consumer Group South Africa's chief technology officer noted that photography on the P20 is all about great shots in multiple scenarios. Meaning not just getting a decent photo when the light is good, but also in low-light conditions, while in wide-angle or when zoomed in. Mohamed stated how research conducted by the company through AC Nielsen emphasised the fact that South Africans love colour on their smartphones. In fact, Twilight on the P20 was one of the most requested colour variants. For that reason the Breathing Crystal and Aurora colour schemes will join the classis black version locally, although Huawei is omitting Orange finish. It’s hard to fault the design of the smartphone, while in our brief time with it, it felt comfortable in hand while offering no discernible qualms in the looks department. You have 6.47” of high-quality OLED real estate, standing at a resolution of 2340 x 1080 with a small dew-drop cut for the camera. There’s no speaker at the front with sound being emitted from the back through the display, while the finger-print reader is also built into the screen. A quick rundown of the specs certainly show why the P30 Pro is a flagship device. Under the bonnet you’ll find 8 GB RAM, 256 GB of storage and the Kirin 980 Octa-core processor (2 x Cortex-A76 Based 2.6 GHz+ 2 x Cortex-A76 Based 1.92 GHz + 4 x Cortex-A55 1.8 GHz). It’s loaded with Android 9 with the EMUI 9.1 UI on top. The P30 Pro is powered by a 4200 mAh battery that can refuel the phone up to 70% in power in 30 minutes. Huawei P30 lite: R5 999.